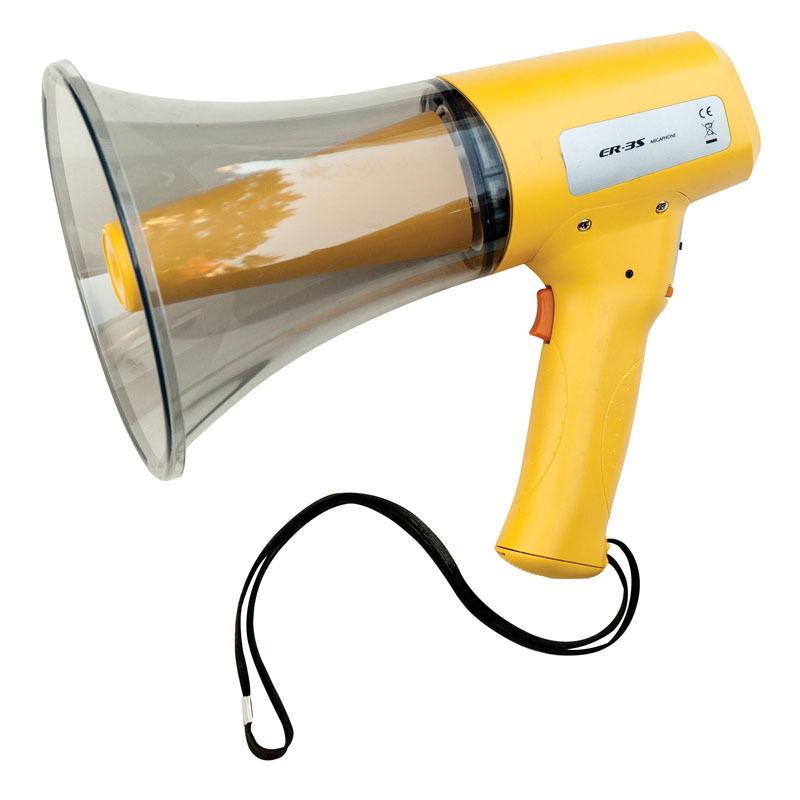 The Megaphone 800 Yard Range can be found in our Megaphones product category within the Audio/visual. 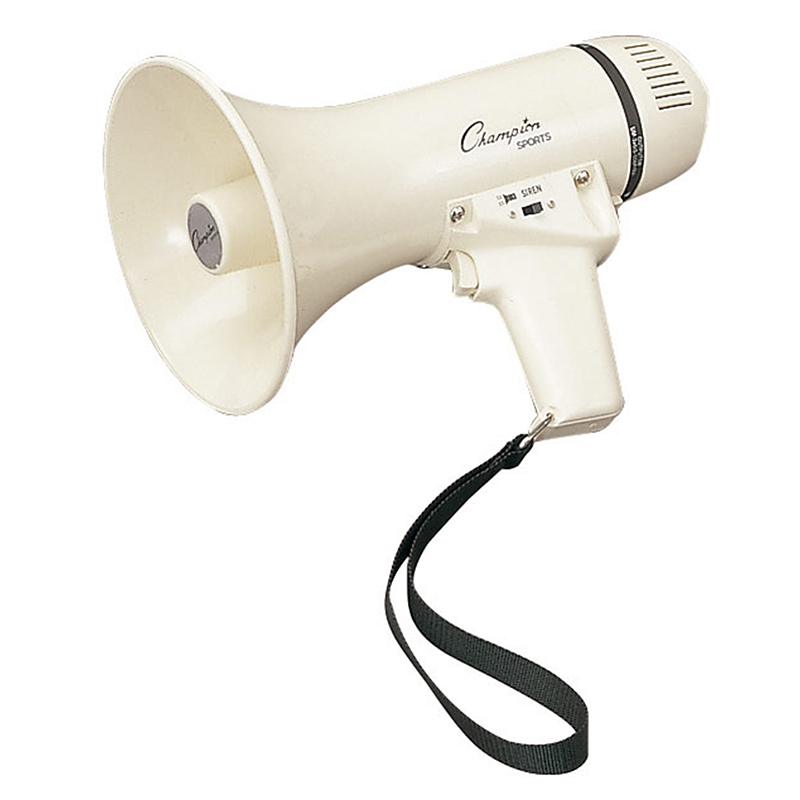 The Champion Sports Megaphone will really get their attention! 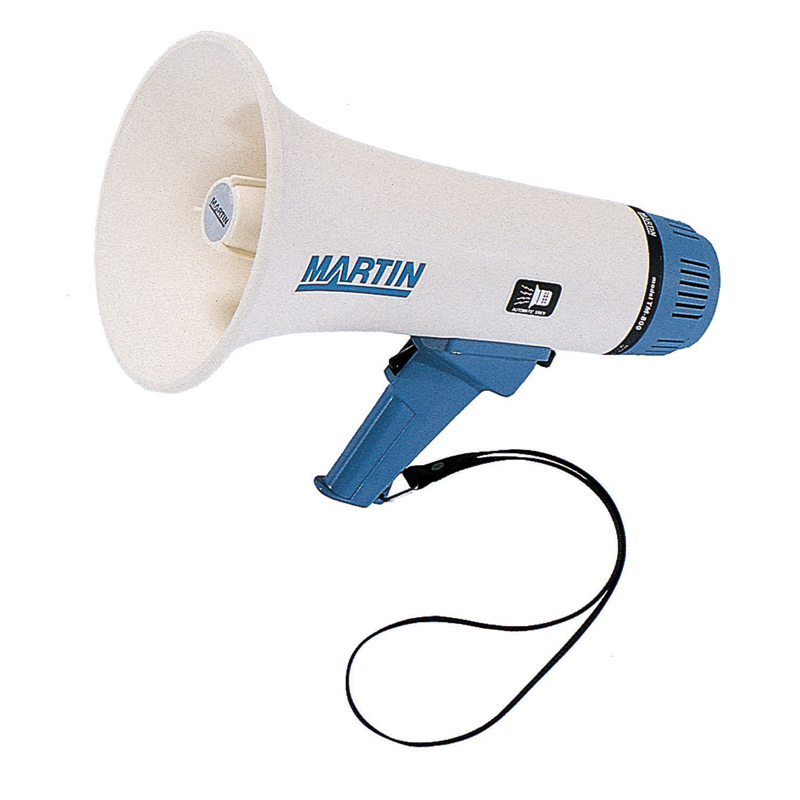 Featuring 8-12 watts of power, this megaphone has an 800 yard range and is perfect for coaching any sport both indoors and out. 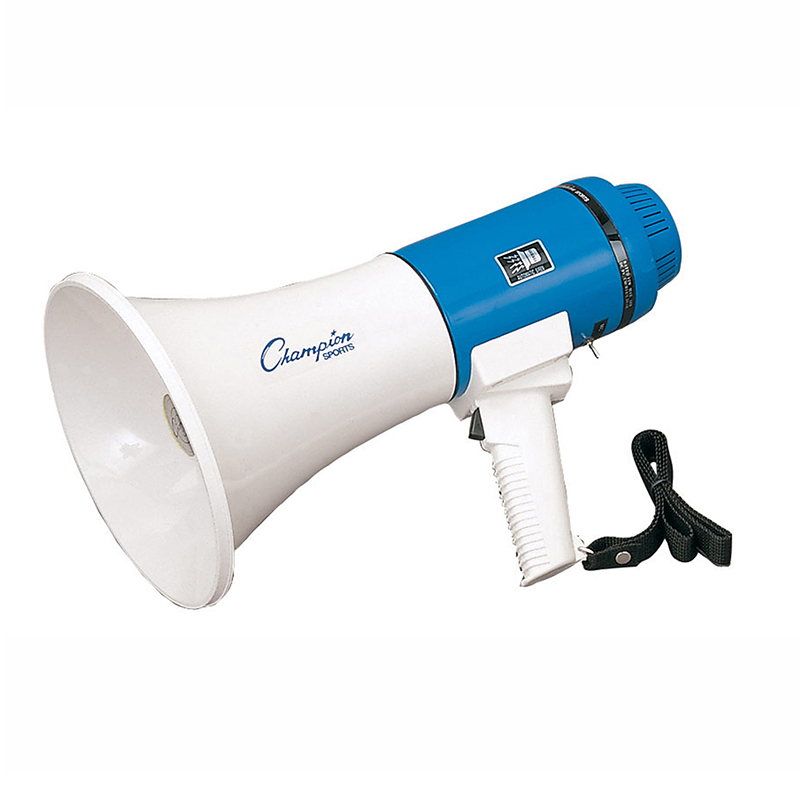 The Champion Sports Megaphone features an adjustable volume control, a powerful siren, and a wrist strap. Requires 8 AA batteries (not included).